I know. It looks beautiful. Doesn’t that make you want to read it!? Perhaps some of you who have been following my blog might not think this seems like the type of book I would write, but don’t worry. When you start reading it you’ll know it was written by me. Sure, it is about village set on the ruins of an ancient Mayan temple, and there is some strange sinister thing that is happening to all the men in the village, and yes, several characters suffer very inglorious and undignified deaths, but I can’t write much of anything without having it center around about kids and women and marriage and all that good stuff, too. Suspenseful, yes. A little creepy, yes. A page turner? For sure. And funny? Of course. How do you pronounce the title? It is a naturally forming limestone well that exposes the aquaphor. They are all over in the Yucatan. The ancient Mayans used them for drinking water and to sacrifice virgins. Now-a-days they are very fun to swim in. Did you have any say in what the cover was going to look like? Surprisingly, yes. I gave my publisher several ideas and they totally grabbed one and ran with it. I think they did a great job! It is totally better than anything I imagined. You’ll have to read the book. No, really, whose arm is that? I’m not sure . . . I’ll have to ask the cover designer. Maybe it is hers. 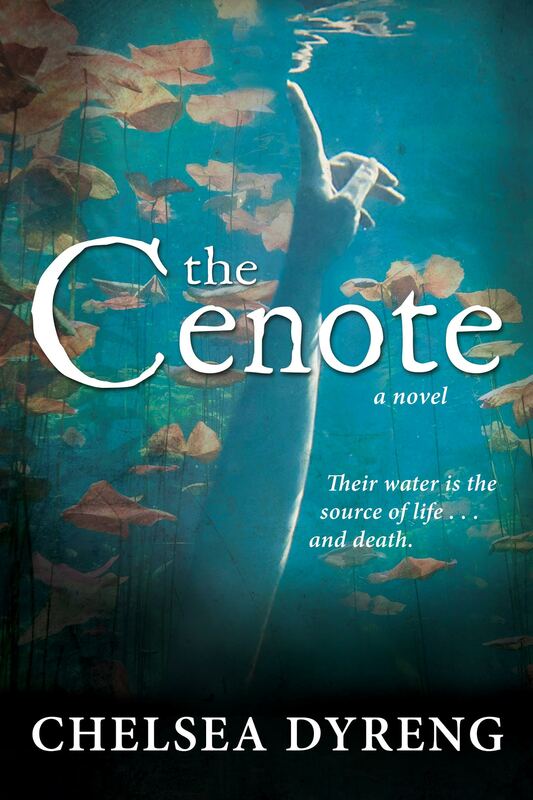 It is about a marriage, a village, and a secret that waits at the bottom of a pool of water. Where will I be able to buy it? Not sure yet, but so far it will definitely be in the Cedar Fort catalog, Amazon and hopefully Deseret Book. Thanks for taking a peek! I’ll give you more info, including how to pre-order your own copy, in the months to come!